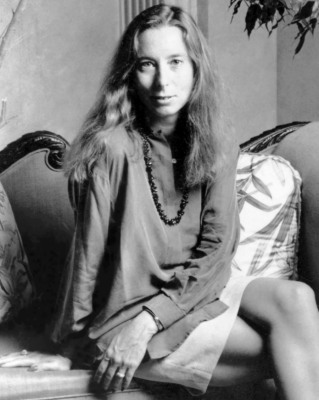 Ann Beattie can anticipate your thoughts about her protagonist in this story, Lenore. ‘What are you doing, Lenore? Why do you stay? Why do you put up with this?’ These are the predictable and predicted reactions as you read of her passive depression regarding her living arrangement with domestic partner George. Fortunately for us, Beattie gives voice to these frustrations by putting those exact sentiments in the mouths of the characters around Lenore. They try to shake Lenore loose of her stasis, and her responses allow the reader a much richer understanding of her character and situation. It’s as if we get to have a conversation with the character. And that’s quite a trick on Beattie’s part. A few weeks ago one of the young men said to her, “Why do you let it go on?” They had been talking lightly before that – about the weather, the children – and then, in the kitchen, where he was sitting shelling peas, he put his head on the table and said, barely audibly, “Why do you let it go on?” He did not raise his head, and she stared at him, thinking that she must have imagined his speaking. She was surprised – surprised to have heard it, and surprised that he said nothing after that, which made her doubt that he had spoken.